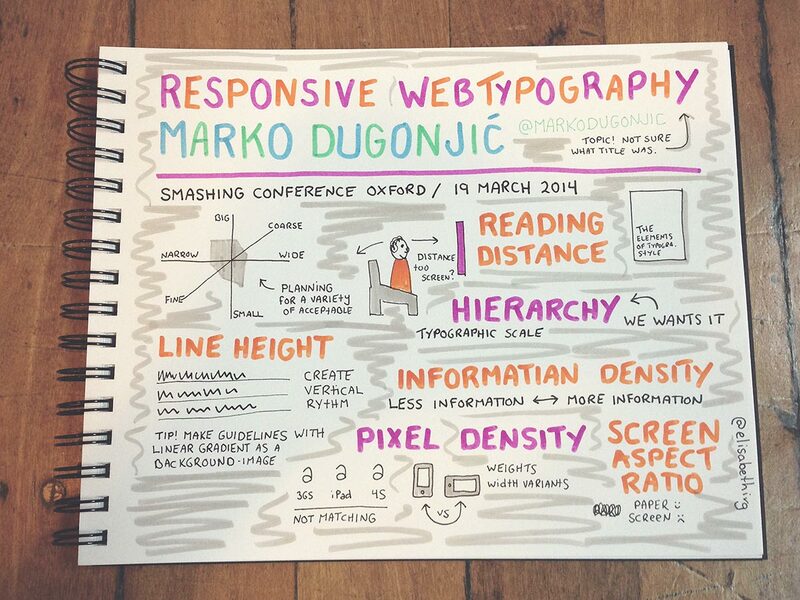 During two wonderful days in March, I had the pleasure of sitting in Oxford Town Hall and listen to 17 talks about web design. 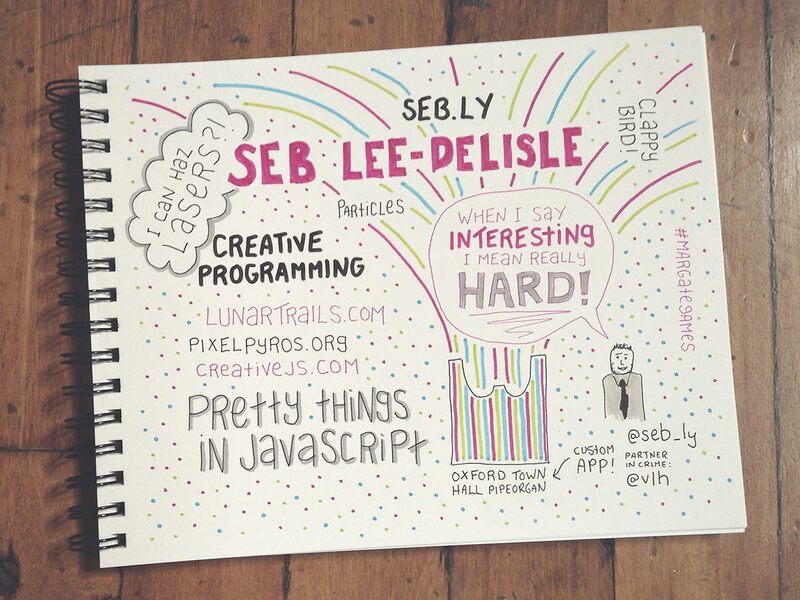 I had a lot of fun doing these sketchnotes from all the talks, trying to capture some of the smart stuff from the stage. Seb Lee-Delisle and Val Head made a wonderful laser show especially for Oxford Town Hall. This was an amazing opening of the conference! 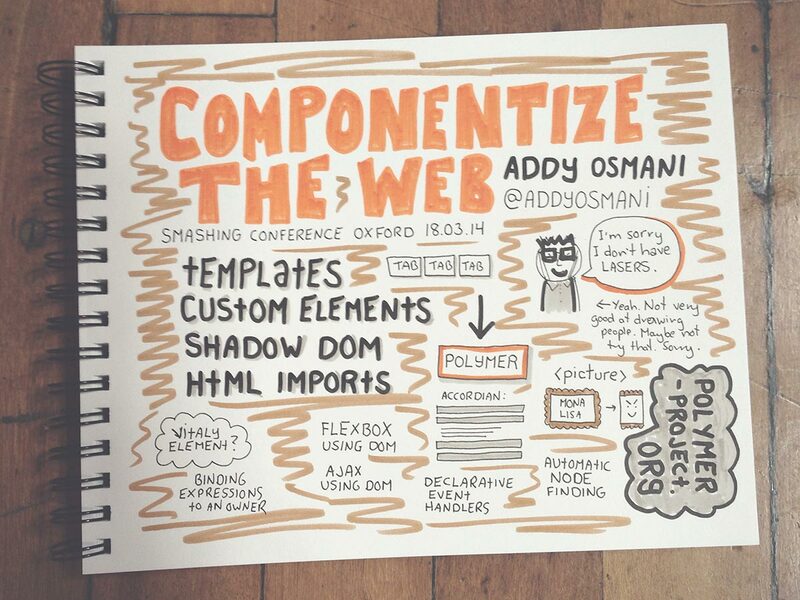 Addy Osmani may not have had lasers, but did present Web Components. 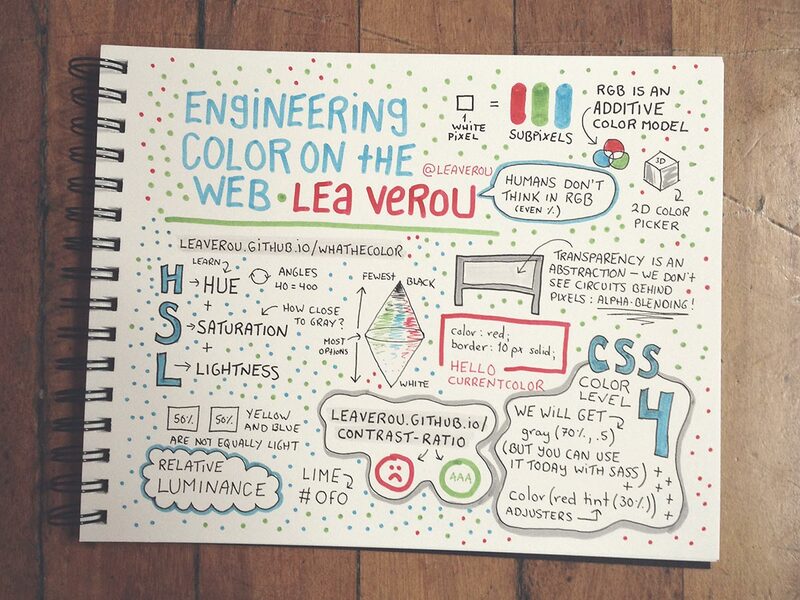 Lea Verou showed us lots of stuff we had no clue that we didn’t know about colour. 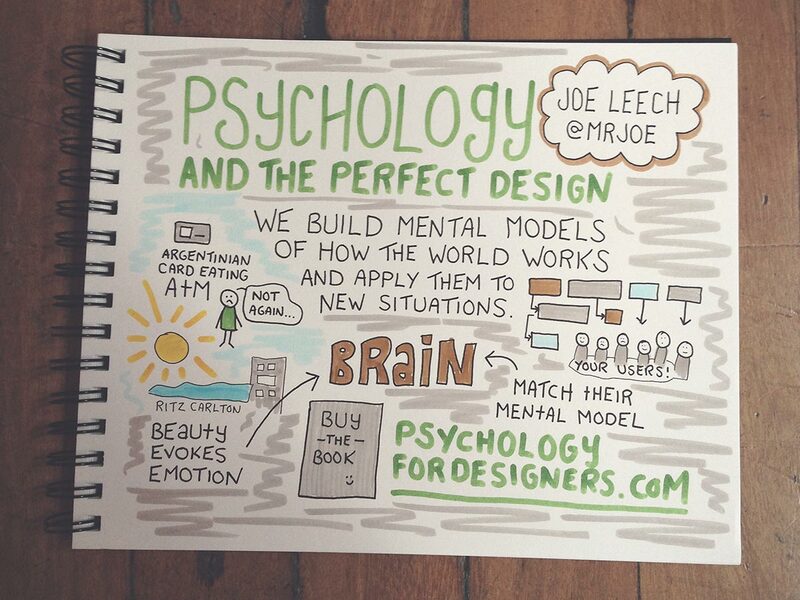 Joe Leech and psychology for designers! 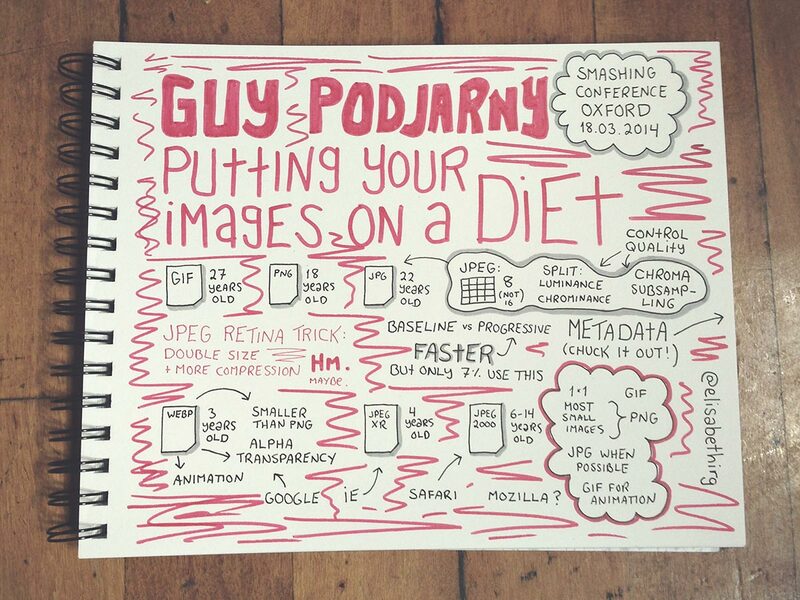 Guy Podjarny put our images on a diet. 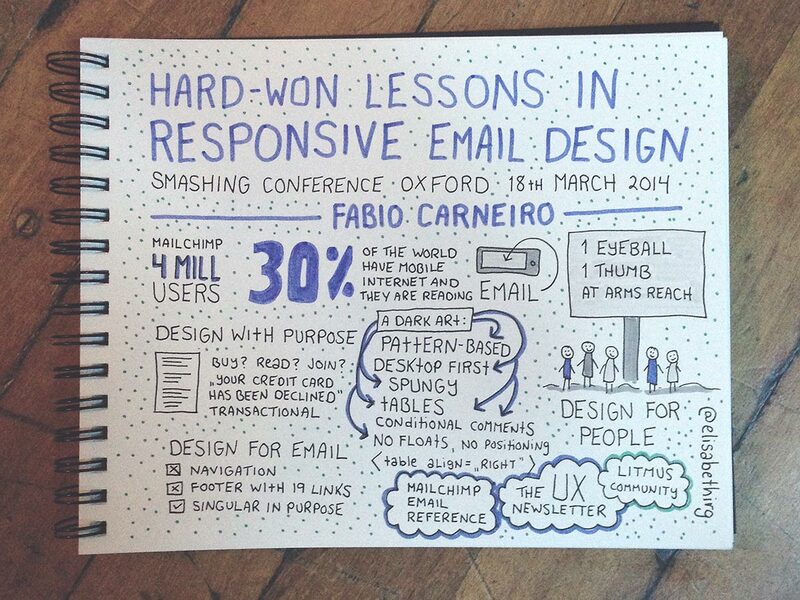 Fabio Carneiro from MailChimp shared their hard-won lessons in responsive email design. 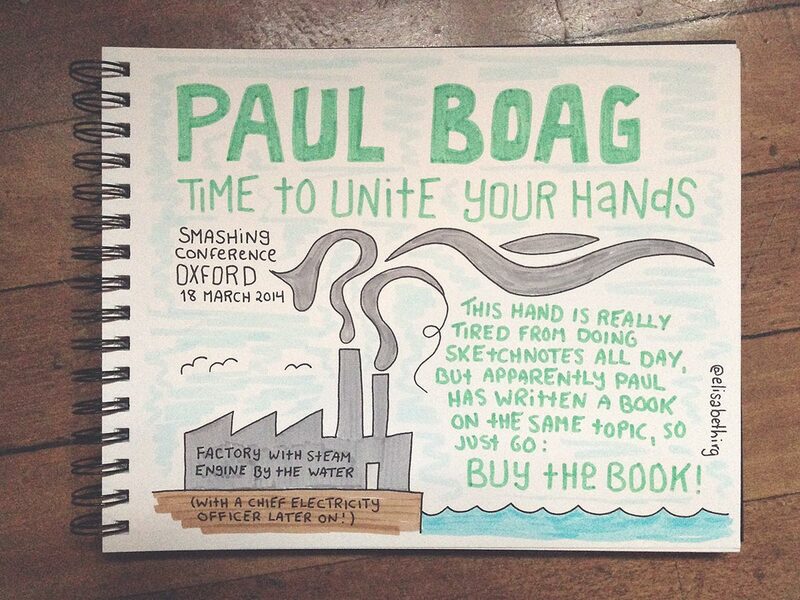 Paul Boag was very inspiring talking about digital adaptation! 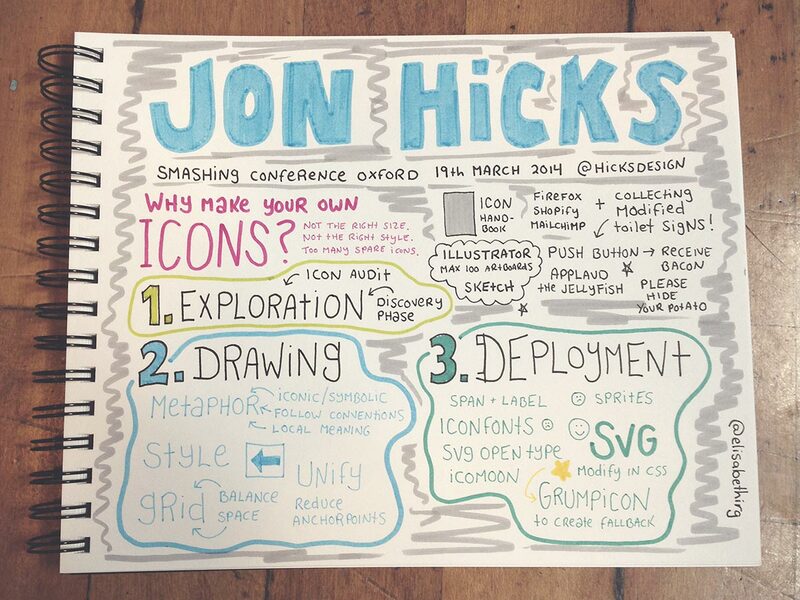 Josh Clark ended a brilliant first day of Smashing Conference. 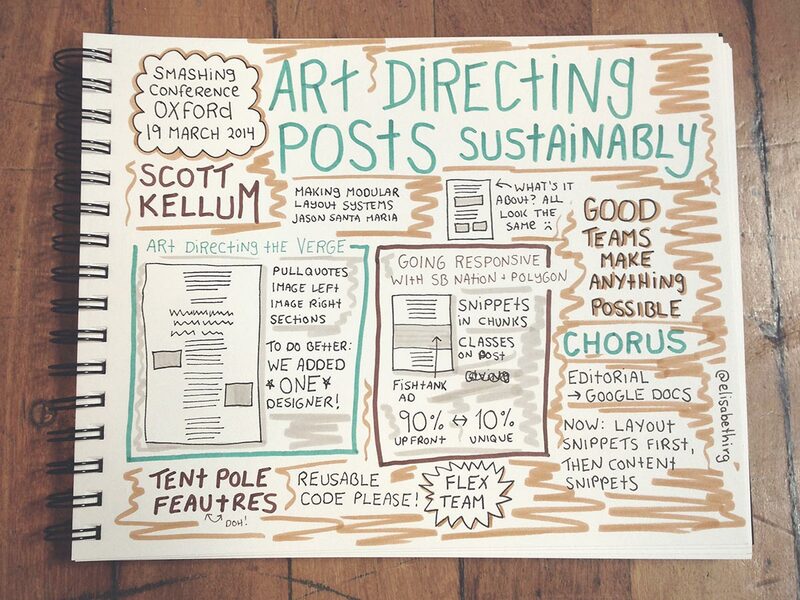 Very interesting talk, I only caught some random sound bites in my sketchnotes. Jon Hicks was our mystery speaker on the morning of day two. Lovely surprise! Zoe Mickley Gillenwater was convincing us all to start using flexbox already. And to try s’mores. 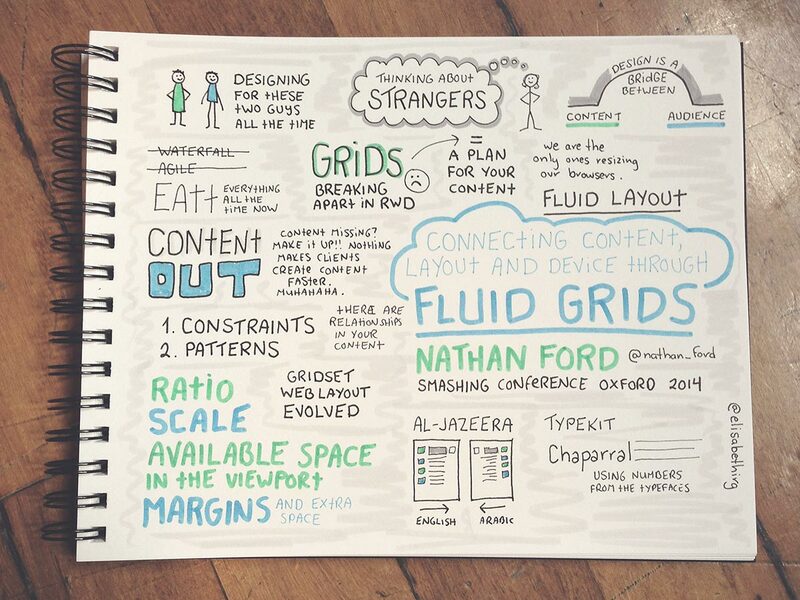 Nathan Ford showing us the why and how of fluid grids. 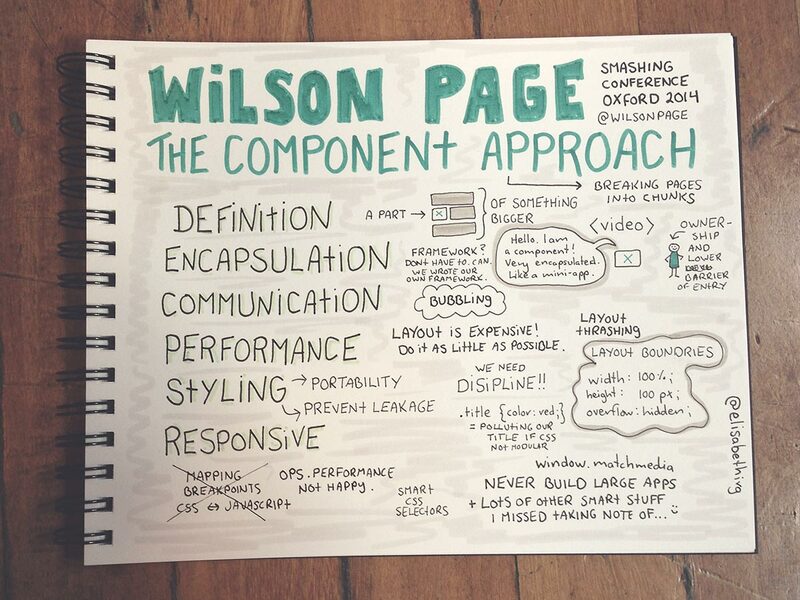 Wilson Page did a wonderful talk about components that are very happy about being encapsulated. Tyler Mincey about product development. iPod, software and more! 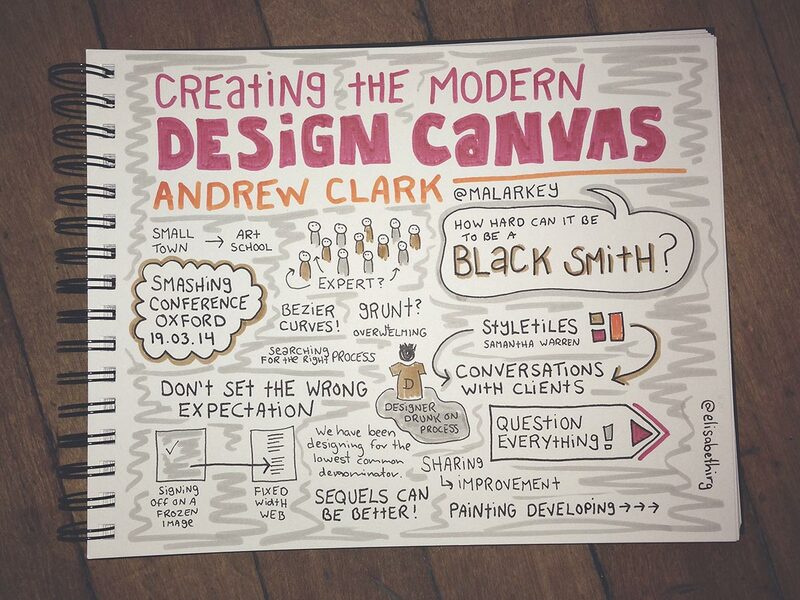 Andrew Clarke was encouraging us to question everything. 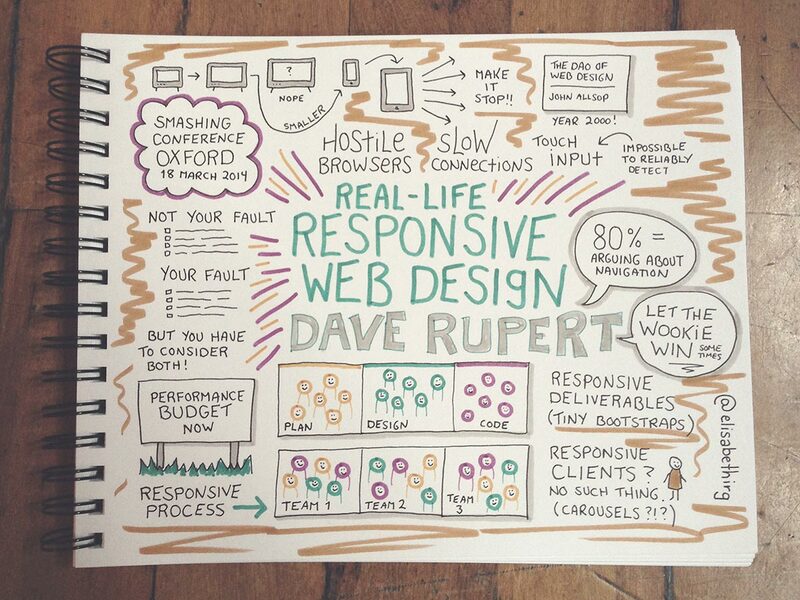 “What if…?” Very inspirational talk.